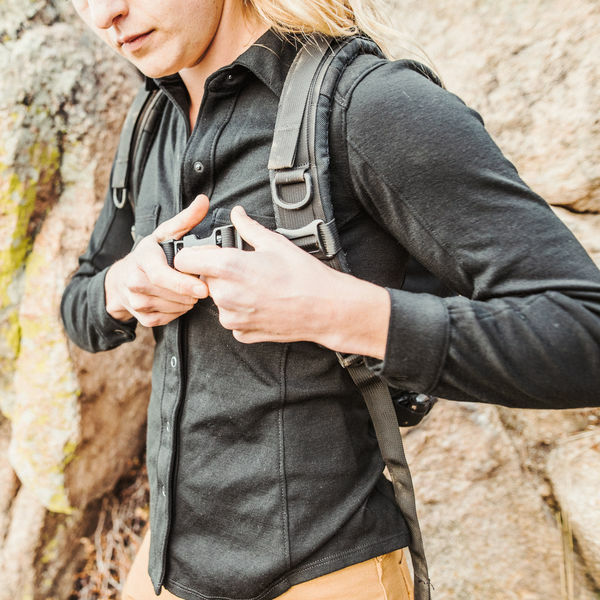 Alias brings the luxury and natural performance of superfine merino to sophisticated, tailored shirt built for adventures on and off the grid. 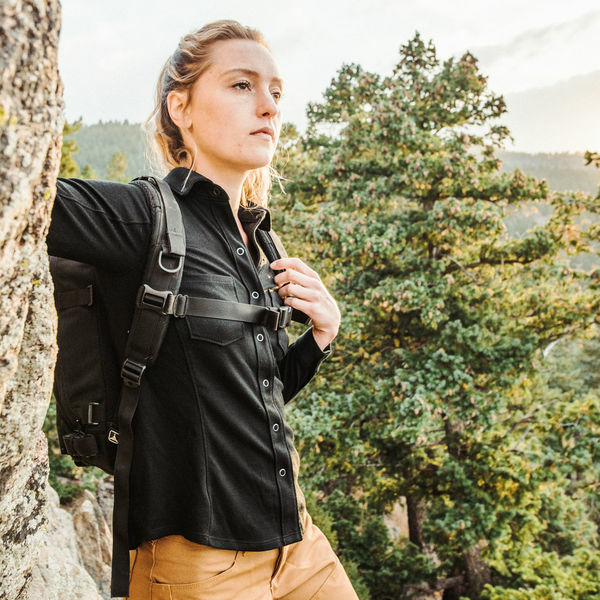 Easy to care for on the road and capable of adapting to diverse climates, Alias can go from street to office to cabin without missing a beat. 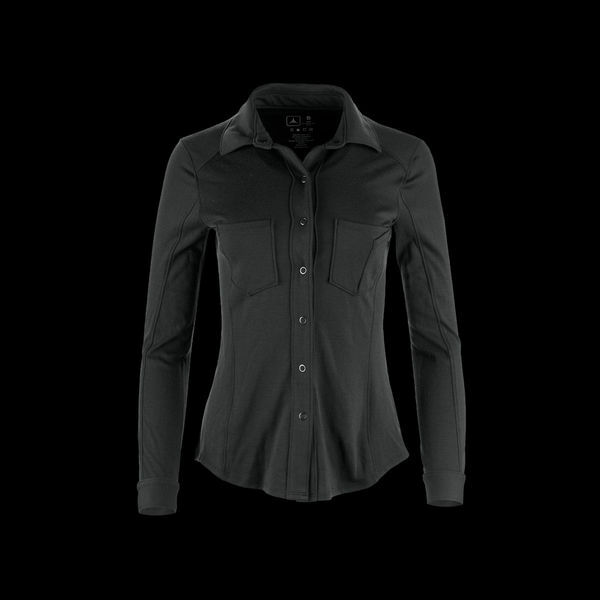 Alias delivers a tailored look without restricting movement. Flattering princess lines and elegant chest pockets blend functionality with style, while minimalist ring snaps are comfortable and convenient to use. 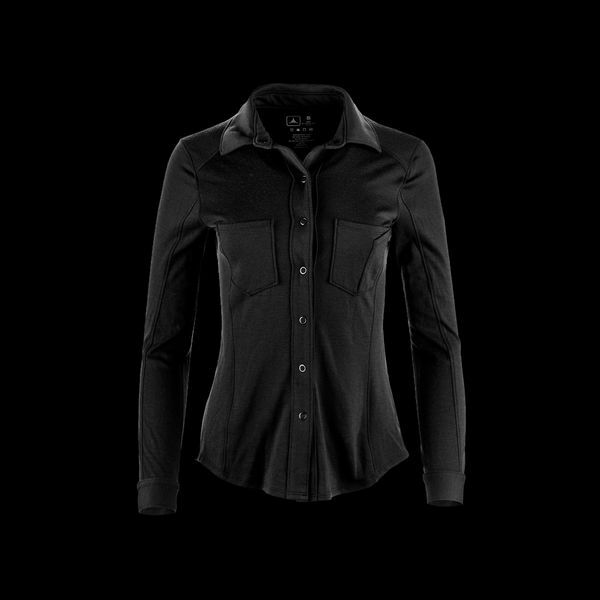 Alias resists wrinkles and requires minimal care, making it the perfect travel companion. 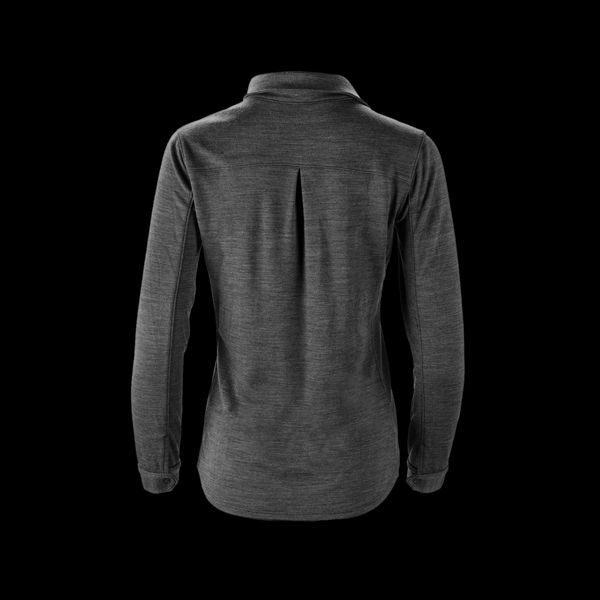 Unlike traditional wool, our Merino collection is comfortable against the skin and designed for performance. 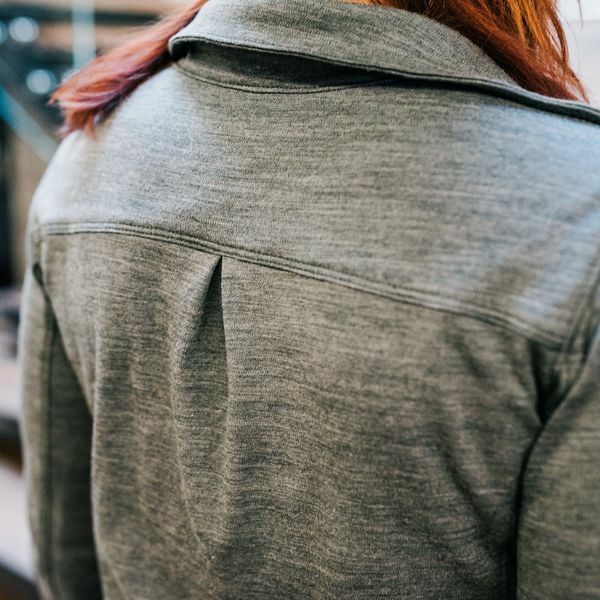 Perfect as part of your layering system, it naturally regulates body temperature by trapping heat for insulation when you’re cold while still maintaining breathability. 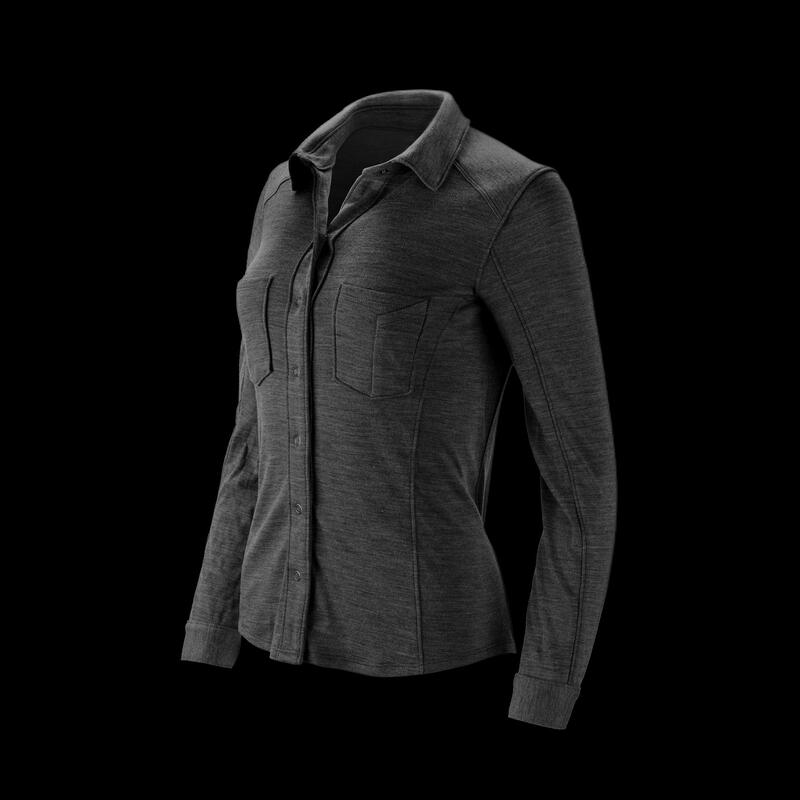 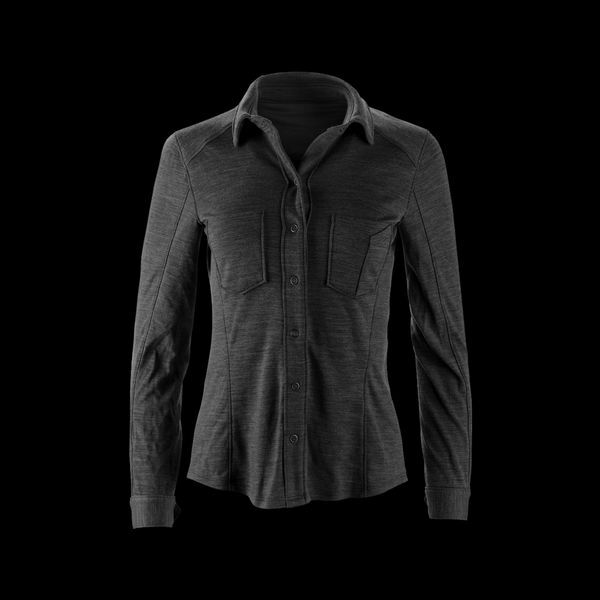 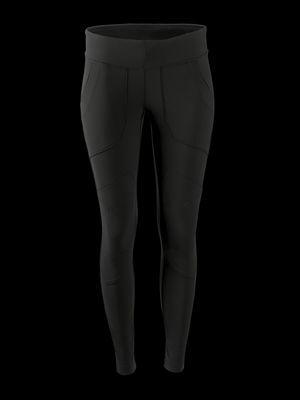 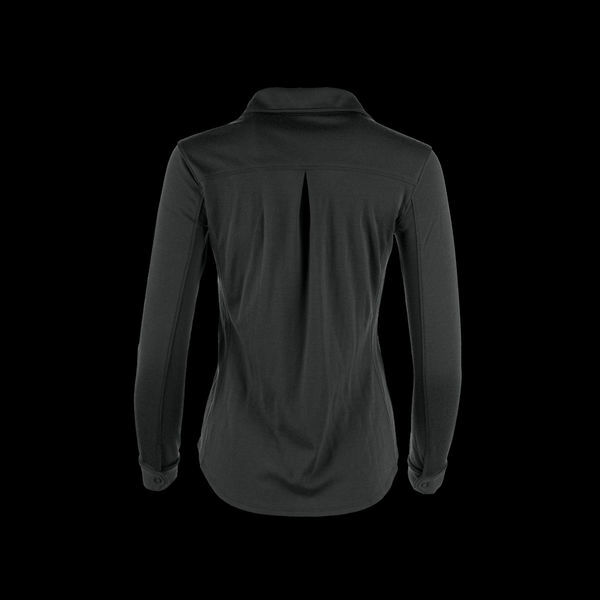 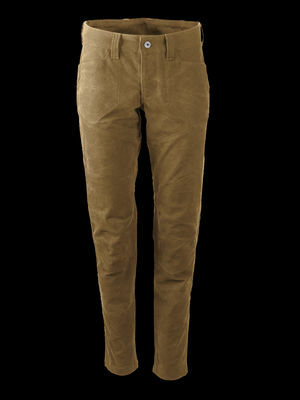 Merino effortlessly wicks moisture away from your skin to keep you dry and avoid cold chills. 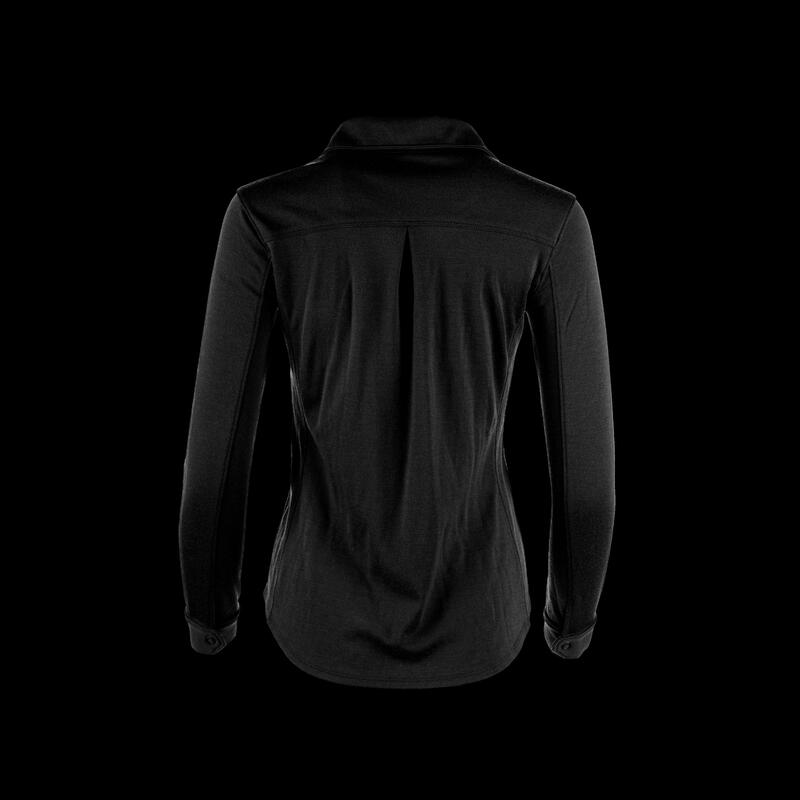 Even if you’re caught in a sudden downpour, Merino still insulates when wet. Naturally odor resistant, you can hit the ground running for days without being concerned about laundry. 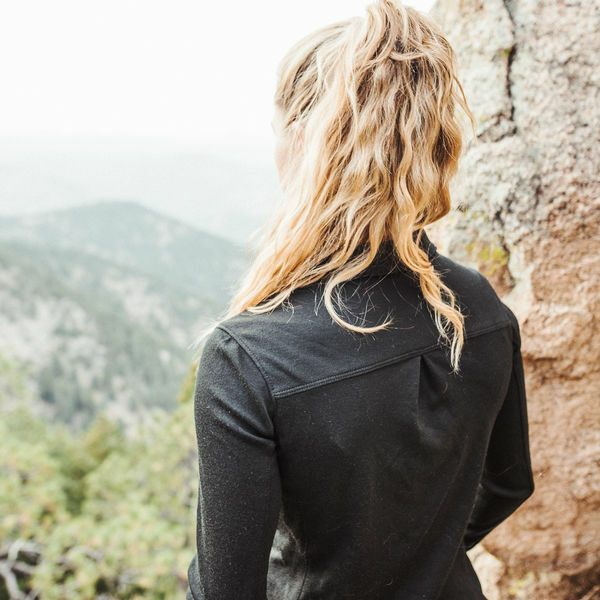 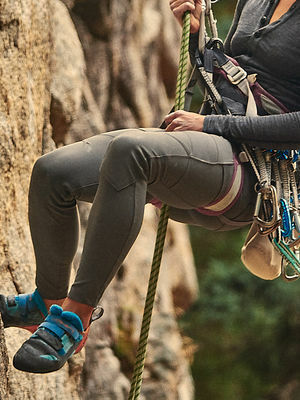 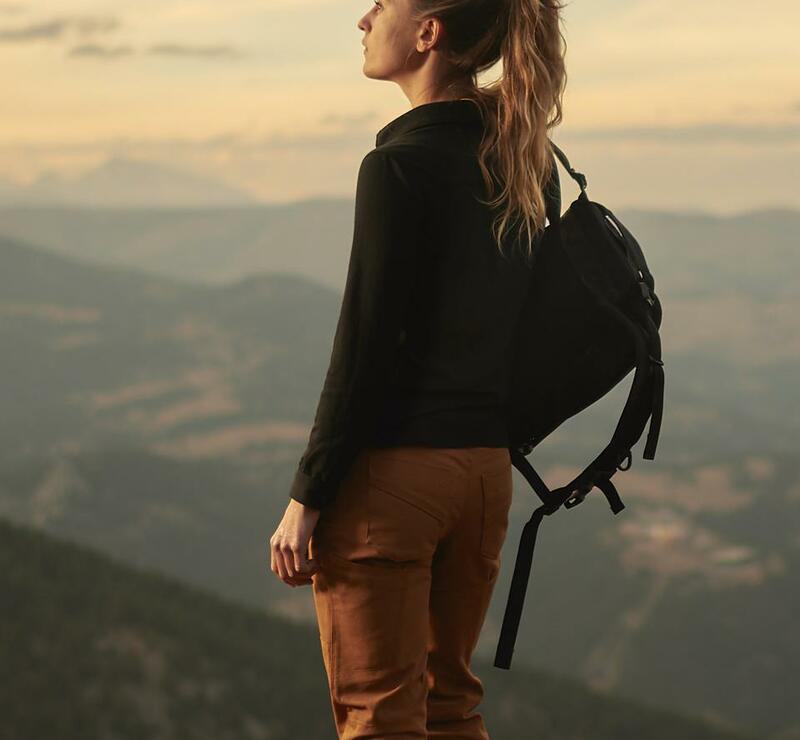 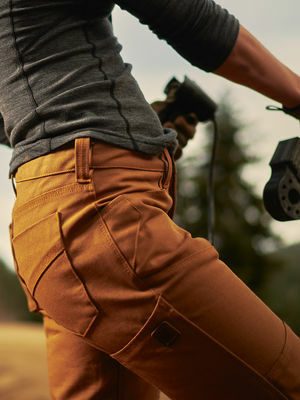 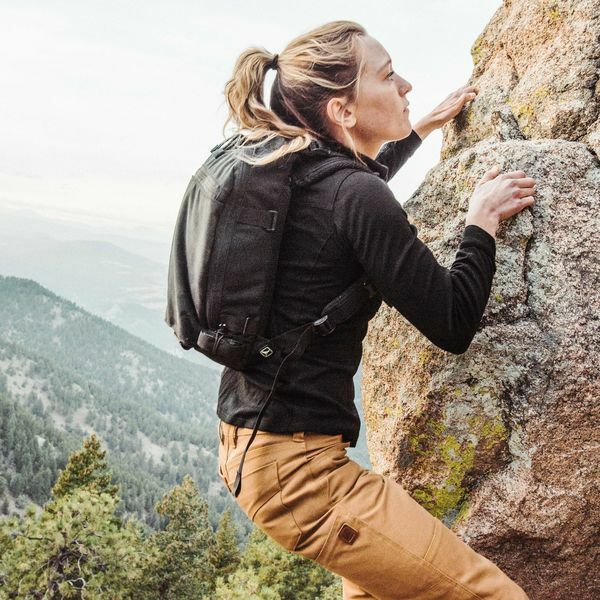 We use MAPP (Merino Advanced Performance Program) certified fabric to ensure it is created exclusively using Merino fibers sourced from the cleanest and purest alpine environments.